The power of kindness. We all have experienced it, the person who holds a door open for a second longer, the stranger who picks up our mittens when they fall out of our jacket, the human angel who listens with kindness and acceptance, the complete stranger who smiles and waves at you. These are all random acts of kindness and so often we forget these acts are miracles which further integrate us and expand the universal vibration of love. The principals of kindness practice are simple. Interestingly they are concepts we teach to our children and somehow ‘forget’ when we grow up into the ‘real world’. 1. Sharing is Caring: Whether we are sharing a smile, communication, food, shelter, money or any other item the key is giving to each other. When we share of ourselves and our lives with each other we exchange the ultimate human connection energy. We also open to the natural flow of giving and receiving. This is a naturally flowing duality which we must remember to keep balanced by giving of what we can when we can and to open ourselves to receiving the blessings others bestow upon us through their generosity. This is the energy of 9. 2. It feels good to give: In the current human collective there is a general forgetting of what it truly feels like to give because we have shifted our focus to getting. However, at some point in our journeys we realize this dominant focus on getting is majorly unfullfilling and leaves us with an deep feeling of emptiness. The quickest way to recharge and experience feeling full, inspired and fulfilled is by extending grace, a gift or a kind word to someone in need. We all have times when we need others to contribute and give to us, there for it is very important to keep in mind there are many times when we will be called into action to be that saving grace for a fellow traveller. When the time comes answer the call, you will be so glad you did. This is the energy of 6. 3. Look at someone when you speak to them: Eye contact sends a subconscious message of presence. When we feel heard, seen and understood we immediately resonate in experiences of peace, bliss and inspiration. Thus giving this gift of presence to all you meet will have a profound impact on personally feeling great and contributing to more people feeling taken care of. We have all heard the phrase the eyes are the key to the soul, so when you take the time to see someone and give them your undivided attention you are activating the ultimate human soul connection. This is the energy of 2, 6 and 9. 4. Listen when someone is talking to you: Building on the concept of being present, actually listening to someone when they are sharing with you is a major act of kindness. We live in a very busy world where we are constantly thinking a million miles a second and usually doing many things at one time. If for just one conversation a day you put all of that on hold, slowed down and fully engaged and listened while somebody spoke to you would give a gift so great your mind may just want to slow down and practice this more often. Imagine for a second how you feel when you experience being heard and listened to. Now how amazing would it be if more people got to feel that everyday on account of you?! This is the energy of 2. 5. If you don’t have something nice to say don’t say anything at all: This is profound on a few levels. The energy we focus on through our thoughts, words and actions all hold a certain frequency. It is this frequency which acts as a navigational attraction system to bring in more energy on the same level. Meaning when we speak negative, critical and harsh words we contribute to more negativity, criticism and harshness manifesting in our own experience and in the experience of those around us. If we could only remember as a collective community that any time we are confronted by something or someone it is just an indication of something within our own being we are either avoiding or do not like or accept about ourselves. When we fully awaken to this concept and put it into practice we experience neutrality. It is in the energy of neutrality where we can make the biggest positive global impact because as we become more present we naturally become more loving with one another. This is the energy of 3 and 9. The numbers 2, 3, 6 and 9 remind us of these universal kindness principals. Two is the gentle mediator, three is the positively expressed optimist, six is the loving nurturer and nine is the humanitarian reminding us all we are profoundly connected. These numbers remind us in their own way to be kind, compassionate and loving towards each other. 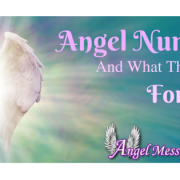 Having an abundance or lack of these numbers in your chart will have an impact on your relationship to kindness. If your chart is lacking these numbers take the time to surround yourself with people you perceive as very kind and learn from them. If you have an abundance of these numbers allow yourself permission to guide and support others in understanding your world of kindness. 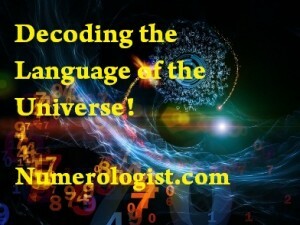 To know where these numbers reside in your chart and the degree to which your personal numerology is influenced by their vibration check out the free numerology report. Win a Free Reading Today! 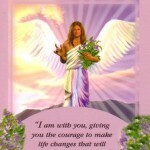 Archangel Michael What do you think about the new Free Reading extended descriptions?